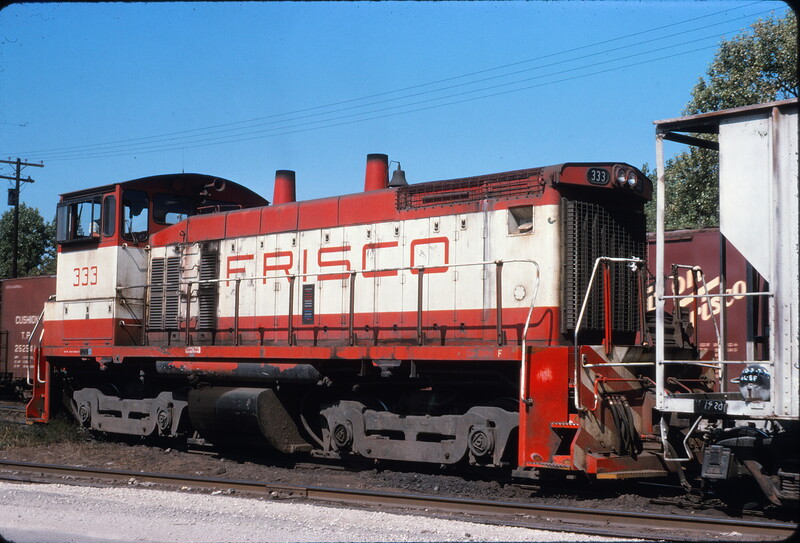 SW1500 56 (Frisco 351) at Springfield, Missouri on January 4, 1981 (J.H. Wilson). SD45 931 (location unknown) in April 1976. 4-8-2 1511 Westbound at Union Station, St. Louis, Missouri (Louis A. Marre). 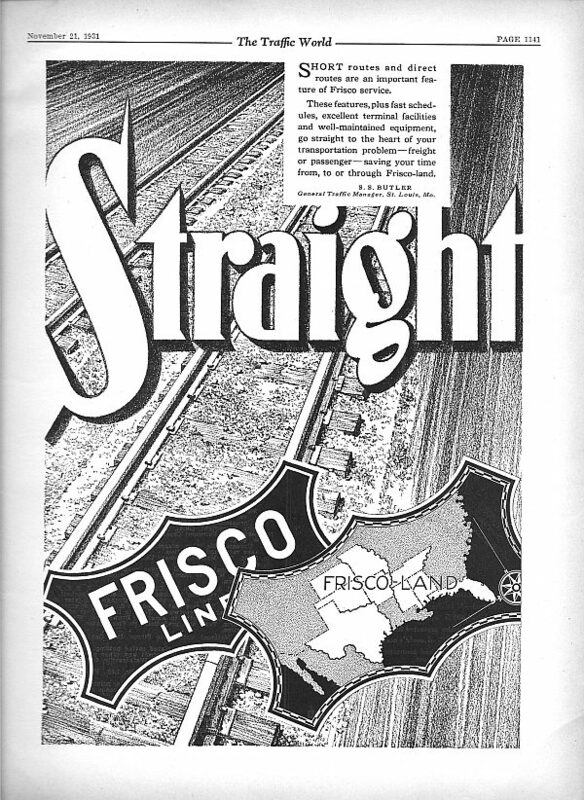 The Traffic World – November 21, 1931 (PDF). GP38-2 2270 (Frisco 415) at Wichita, Kansas on August 23, 1982 (Allan Ramsey). SW1500 333 at Kansas City (date unknown). 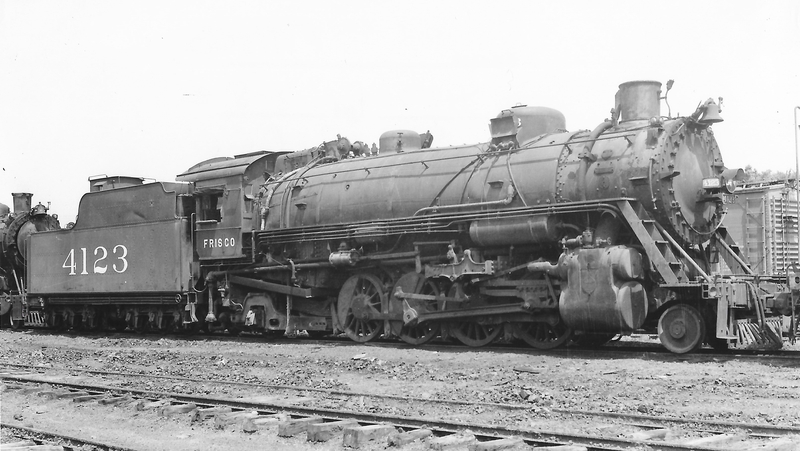 2-8-2 4123 at Springfield, Missouri on July 8, 1950 (Arthur B. Johnson). GP7 570 at Tulsa, Oklahoma (date unknown). 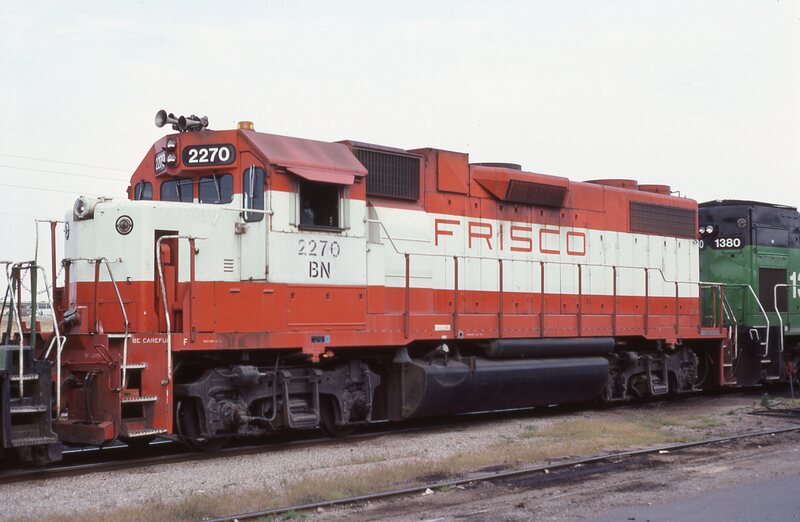 The second unit is suspected to be GP7 611. The caboose is SLSF 1104. 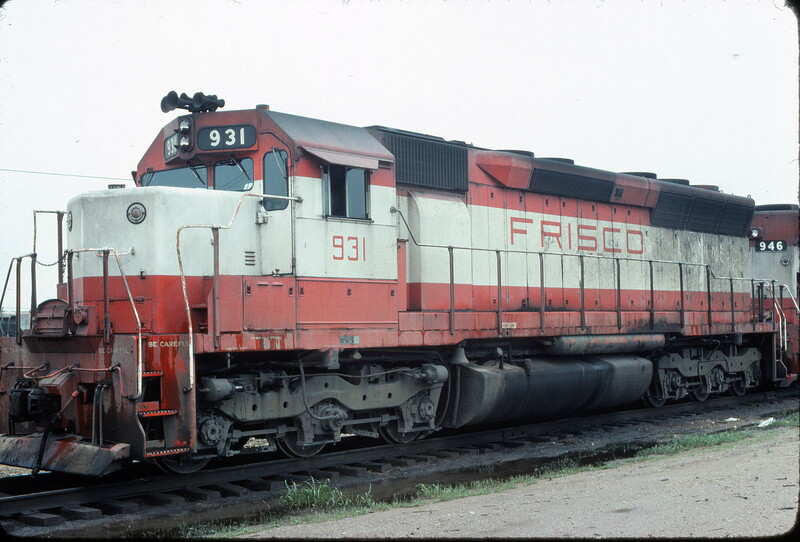 It is an ex-Santa Fe car in one of the Frisco’s local service caboose series. 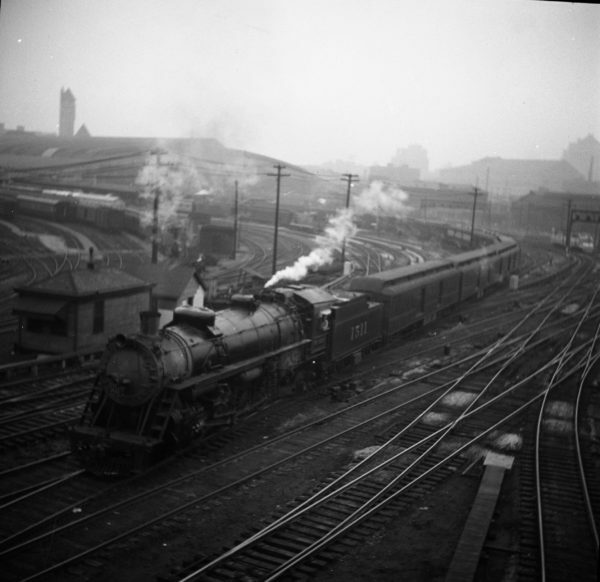 The train is headed railroad east (geographically north/northeast at this point) having just departed Cherokee Yard. It is east of the Arkansas Valley and Western Junction where the Perry Subdivision connects with the Cherokee Subdivision. 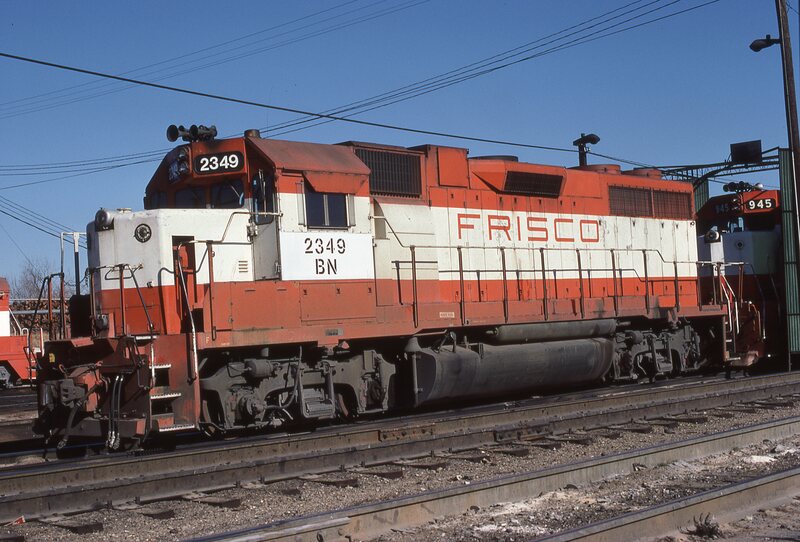 Soon the consist will be crossing the Arkansas River and passing by the downtown area. The photograph was taken from the west side of the grade crossing at West 17th Street. The dirt mound beyond the telegraph pole line is the grading work for what will soon be I-244. 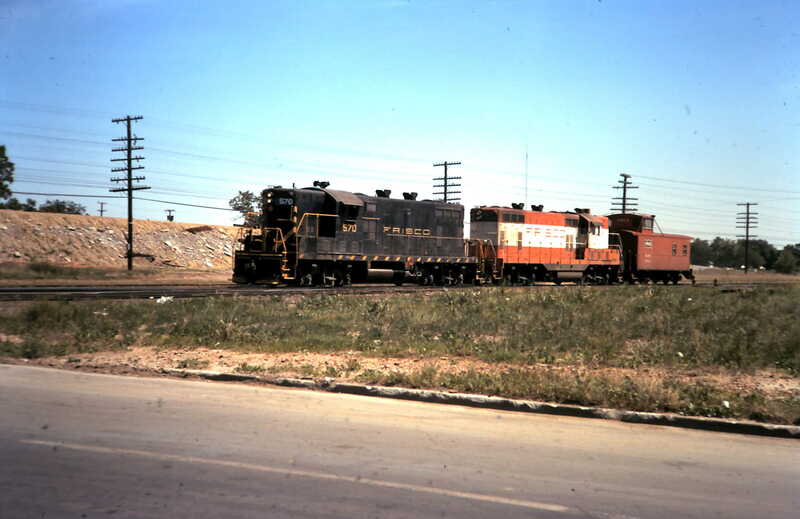 The view is looking to the southeast. 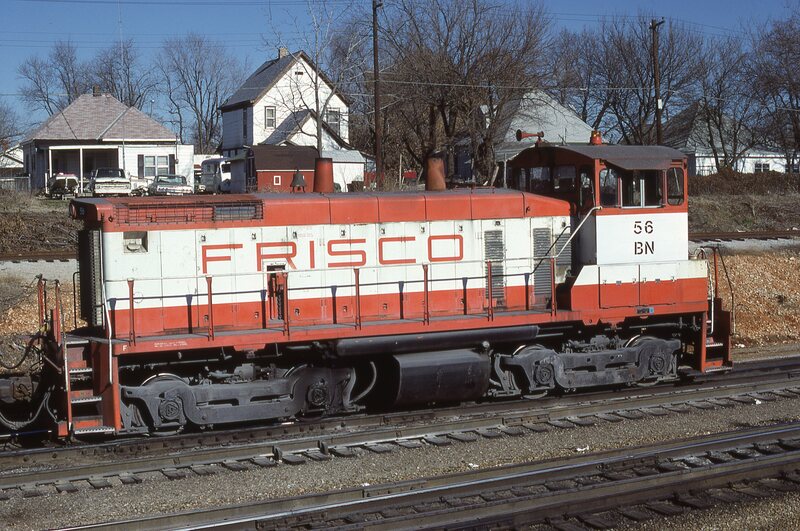 GP38-2 2349 (Frisco 679) at Springfield, Missouri on January 2, 1981 (J.H. Wilson). 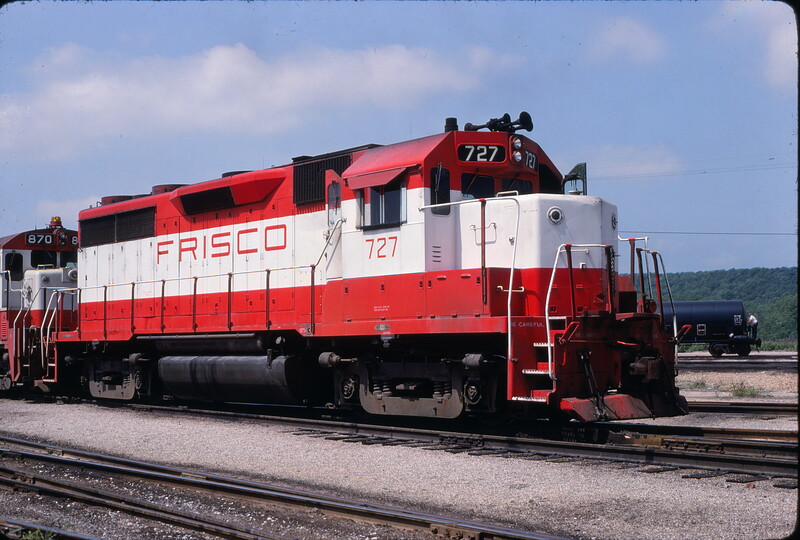 GP35 727 at Tulsa, Oklahoma on May 2, 1980 (Allen Clum).